Once there was a good shepherd. He had one hundred sheep. If you would begin counting, “One, two, three, four, five, six, seven, eight, nine, ten,” you would count on and on before you came to one hundred. One hundred is quite a lot. 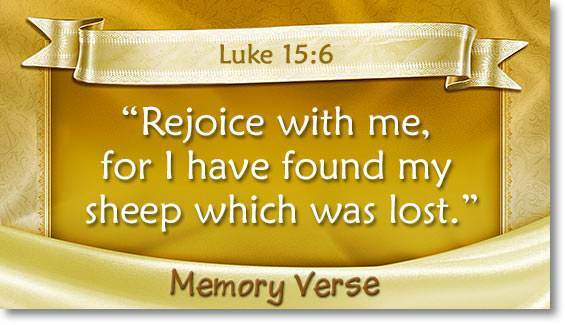 The good shepherd lived with his sheep out in the fields. His face was tanned brown by the sun and the wind. His eyes were bright from watching to see that nothing hurt his sheep. He carried a strong stick. He used it to strike any lion or bear that might try to kill his sheep. He also carried a stick with a curved end, a crook. If a sheep fell into a hole, he would put the crook about its leg or catch it in the thick wool, and pull it out. If a lamb fell into a river, he would put the crook about its little body and draw it safely to land. 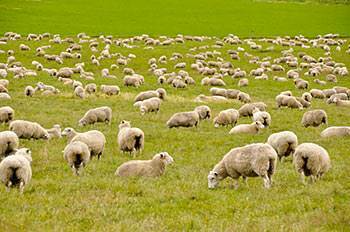 Every morning the good shepherd led his sheep to fields where the grass was green, and watched them eat. Every morning he led them to places where the water was quiet and fresh, and watched them drink. 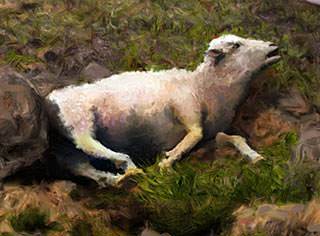 At night, when the black shadows came creeping up the hillsides, the good shepherd called his sheep to the sheepfold. Each sheep had a name. The good shepherd knew them all. He would call, “Rosebud! Olive Blossom! Palm Tree!” and the sheep would answer his call and come to the sheepfold. 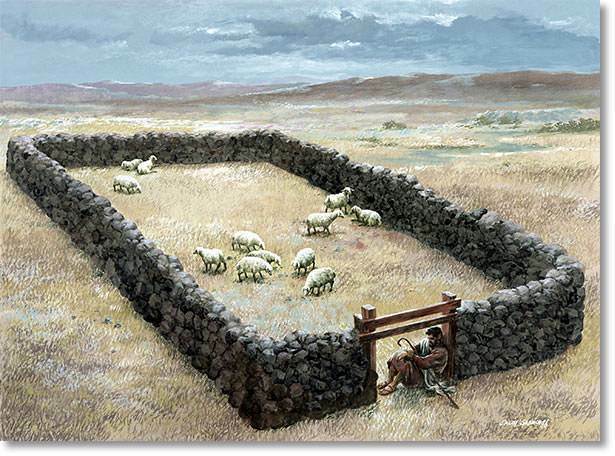 Around the sheepfold was a wide stone wall, with thorns on the top, to keep lions and bears from jumping over. 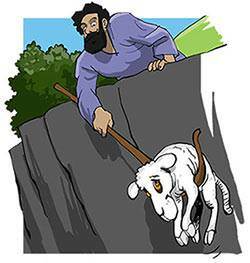 The shepherd stood at the door and held the sheep back, one by one, with his stick. 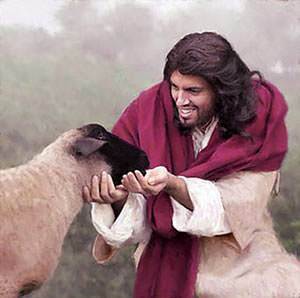 If a sheep had fallen down and hurt itself, he bathed the sore spot with oil. If a little lamb was tired out from playing all day long, he rubbed oil on its head, and gave it water to drink from a big cup with two handles. The next would have been one hundred, but there were no more! One sheep was lost. 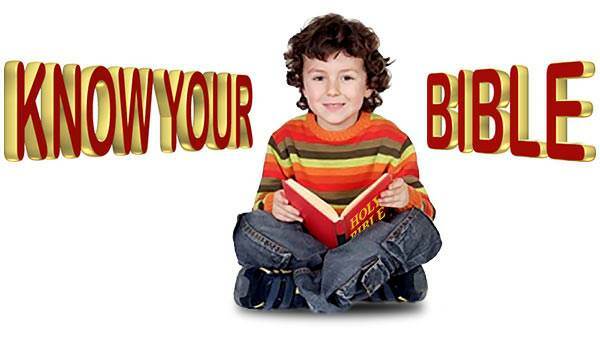 Oh, how sorry the good shepherd felt! He left the ninety-nine sheep with another shepherd, and set out at once to hunt for the lost one. 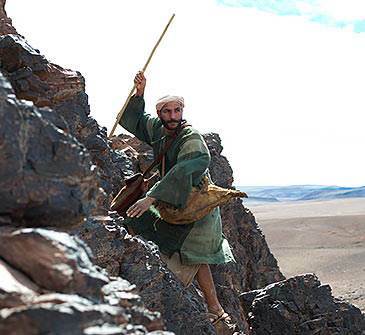 Far, far he went, over the hills, through the fields, and along steep, narrow paths. When he passed a hole he looked down into it to see if his lost sheep had fallen in. Now and then he came across a little footprint, which showed him that his sheep had gone that way. Now and then he found bits of white wool caught on the briers. Every once in a while he would call the sheep’s name and listen, but he would hear no answer. Then he would call again and listen—no answer. At last he thought he heard a faint bleat, very faint and far away. 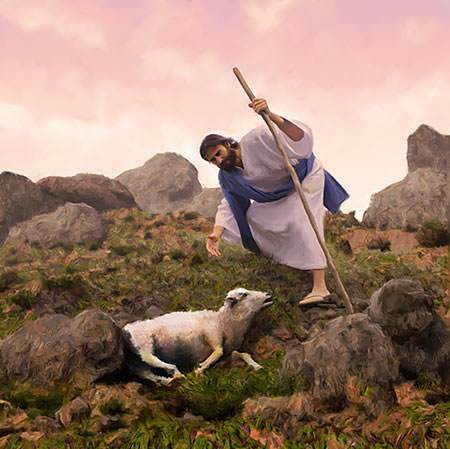 He hurried on, and the bleating grew louder and nearer, and louder and nearer, till he came to his lost sheep. It was tired and hungry and frightened. He lifted it gently, and every step of the way he carried it, held close and warm against his shoulder. 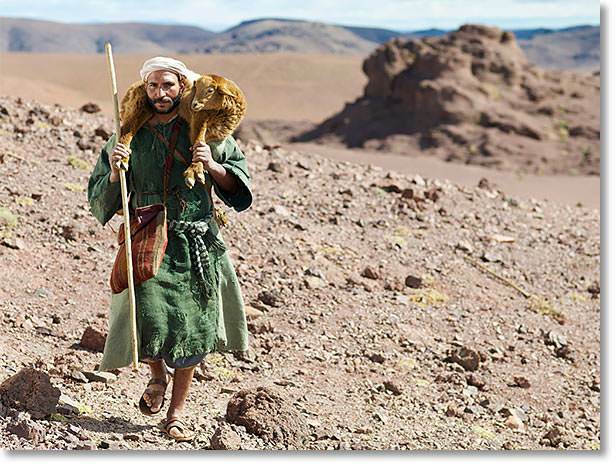 He would not let his tired sheep walk. 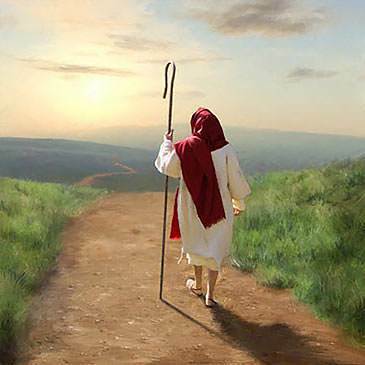 He was tired, for he had gone far, over the hills, and through the fields, and along the steep, narrow paths, but he did not mind, so long as his sheep was found. He was a good shepherd.